All meeting materials will be forwarded to the pre-show contact at the address listed below unless requested otherwise. Please upload an image of your company's logo. To upload successfully, use the latest version of Google Chrome, Mozilla Firefox, or Microsoft Internet Exporer. Please check the appropriate categories for your company or product. Upon acceptance of your application, you will receive an online service kit from Freeman Decorating Company. If you plan to use your own exhibit contractor please indicate the company’s name and contact information in the space below. An online exhibitor service kit will be e-mailed to them. Pop-Up Booth - includes pop-up stand banner with graphics, one (1) 3’ table, and one (1) chair. Traditional Booth - includes an 8’ high back wall drape, 3’ high draped sidewall dividers, and a company name sign. An additional $500 fee will be charged to applications received after February 1, 2019. Payment in full for booth rental must accompany the application. Applications cannot be processed nor booths assigned without the required payment. Exhibitors may cancel their exhibit space and receive a 50% refund of space payments provided ARRS receives a written notice of such cancellation prior to March 15, 2019. There will be no refund for cancellations received on or after March 15, 2019. Typing your name in the following box constitutes a legal signature. * I have read the 2019 exhibitor rules and regulations. 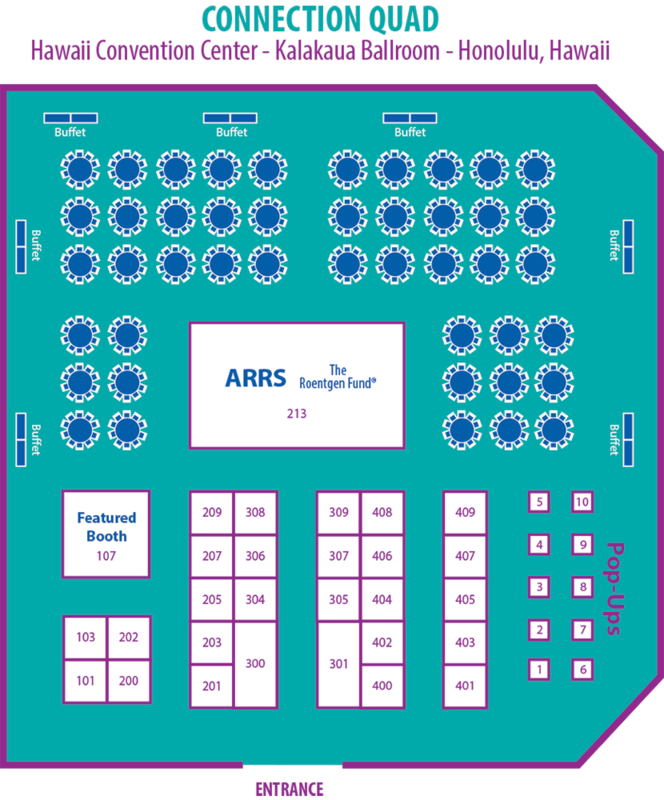 In accordance with the terms and conditions of the 2019 exhibitor rules and regulations outlined in the prospectus governing the ARRS commercial exhibition to be held at the Honolulu, HI, May 5-May 10, 2019, the undersigned understands and accepts all terms and hereby applies for exhibit space. Upon official acceptance, this document constitutes a contract. © 2019, American Roentgen Ray Society, ARRS, All Rights Reserved.